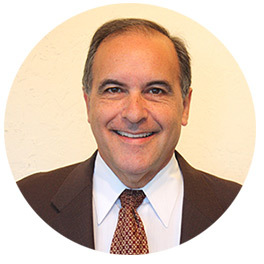 Attorney Arthur A. Ferraro has been representing clients in San Jose and throughout Santa Clara County for more than 30 years. His expansive knowledge and tireless work ethic give him the ability to solve unique and complex problems for his clients in an affordable, personalized and responsive manner. Marital issues, serious personal injuries and contentious litigation are some of the most stressful experiences a person can face. Arthur provides objective counsel to help his clients make the best decisions for their future without sacrificing the aggressive stance needed to protect their rights in court. Arthur built his firm on the belief that a lawyer’s first priority should be the unique needs of the client at hand. He prides himself on being conscious of his clients’ time and money, and treats each case as if it were his own dime being spent. Arthur cares deeply about each and every client, and he’s committed to doing everything in his power to obtain a favorable outcome on your behalf. He will try to help a client settle out of court whenever possible in order to avoid expensive court costs. Arthur also believes in offering a friendly and approachable environment for his clients. He understands that stress and emotional discomfort are common, and he wants them to feel safe asking questions about their situation. Even so, Arthur Ferraro isn’t afraid to take cases to court if that turns out to be the best solution, and he’ll stop at nothing to help you and your family move forward. Santa Clara University School of Law — J.D. Arthur A. Ferraro Attorney at Law has been helping San Jose families overcome contentious family law issues for over 35 years. If you are currently struggling with a matter involving divorce, child custody and/or child support, dial (408) 985-1060 to get started. Arthur A. Ferraro Attorney at Law represents residents of San Jose and Santa Clara County, including Sunnyvale, Santa Clara, Mountain View, Milpitas, Palo Alto, Cupertino, Gilroy, Morgan Hill, Campbell, Saratoga, Los Gatos, Los Altos, Los Altos Hills and Monte Sereno. Arthur A. Ferraro assists San Jose families with family law disputes, including those involving divorce, child custody and child support. We also represent clients in cases involving business law, real estate law and personal injury.